Completing her education and licensing 11years ago while working at the salon. 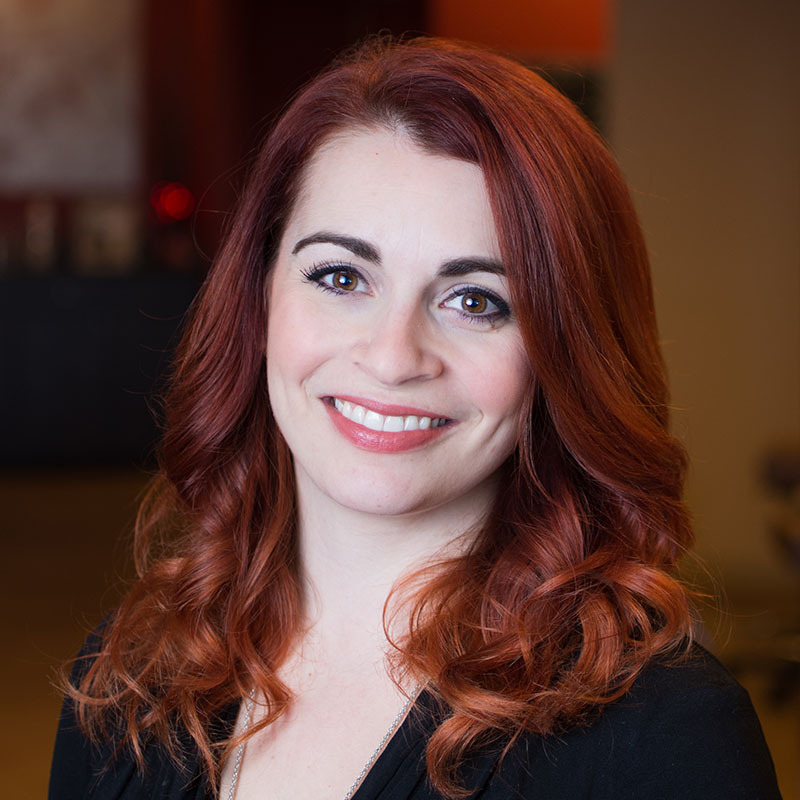 In alignment with the salon’s philosophy of training, Erin has attended many courses, spanning specialty coloring and balayage to intensive cutting classes. She has attended Redken exchange class in New York, Redken Symposium in Las Vegas as well as advanced courses sponsored by L’Oreal and is also certified in the smoothing treatment Brazilian blowouts. She has been educated and specializes in upstyles and bridal hair and really enjoys all wedding day hair and makeup. Educating her clients on all aspects of hair care is a specialty of hers also. Hair designing is her passion, she values building relationships with people which is highly recognized by her successfully busy schedule. When not at work, Erin enjoys entertaining, baking, and cooking for friends and hanging and exploring with her dog Yukon and Husband.